I’ve been a Disney fan forever. So much so, that I took my Fan-dom to the next level and worked at Disneyland when I was in college. It was a magical summer working in the Disneyland Wardrobe Department, getting characters ready to go out and meet thousands of other fans as they visited the theme park. As I worked there, I really got to know a lot about Disney and the more I learned, and it all made me a love Disney even more. Well, now I live in Minnesota, so I’m glad that Mickey has loaded up his tour bus and is bringing his Disney Magic to me here in the Midwest. “Disney Live! Mickey’s Magic Show” is coming to the Xcel Energy Center on Sunday, October 24th. 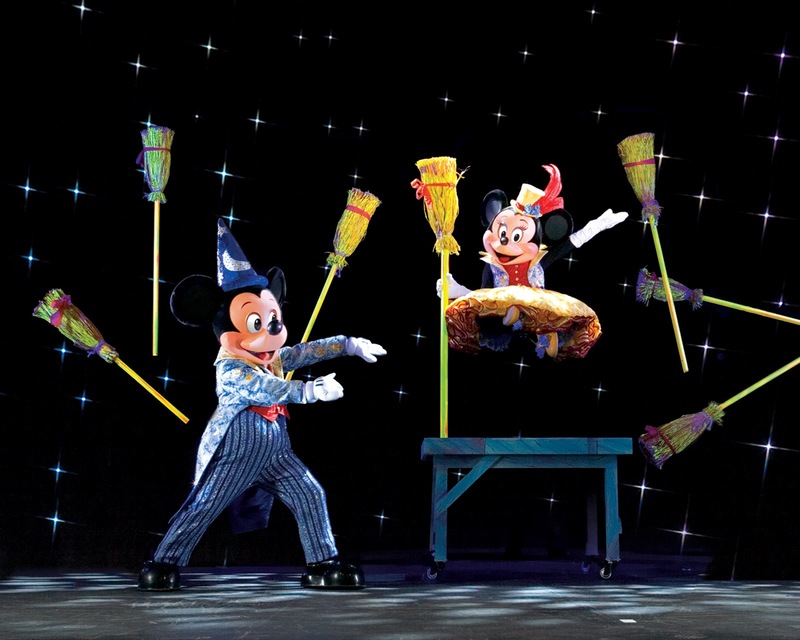 I’m so excited to take my Toddler Tornado to see Mickey, Minnie, Daisy, Donald and Goofy on-stage in what is sure to be an adorable magic show. But they’ve given me the chance to bring you to the show, too. 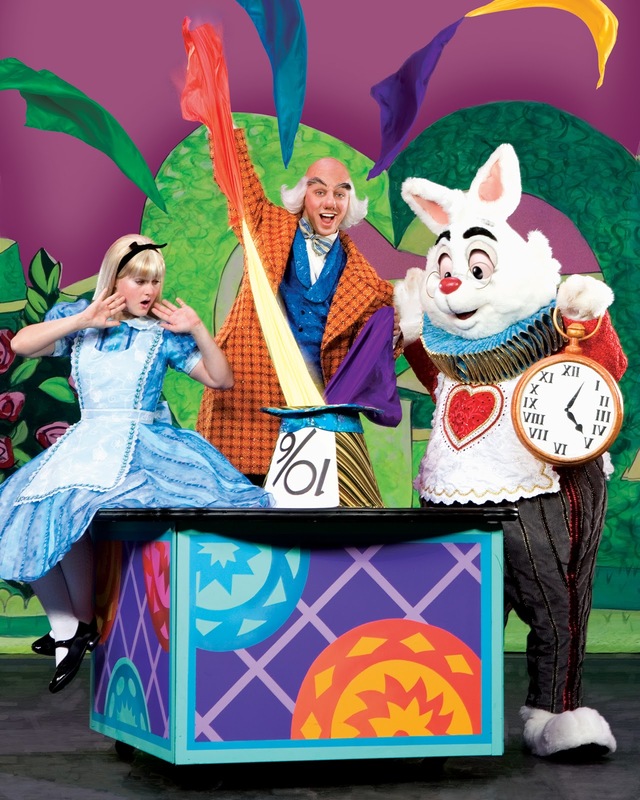 I’m giving away Family Four packs of tickets to Mickey’s Magic show. I’ll pick 2 (two) winners next Wednesday, October 20th at 12 pm cst. To enter, leave a comment below sharing your Disney Magic Moment. It can be anything- like the first time you watched a Disney Film with you family, or the time your dog chewed up you Mickey Mouse ears. It’s up to you, and you can leave one comment each day between now and 10/20/10. For extra entries, you can also Tweet or Facebook about this contest. Cut and paste that if you like. Just come back here and leave a comment with the link so that you get your extra entry. Then check back here Next Wednesday October 19th, to see if you’re a contest winner. Easy enough? I hope so. Get to sharing those Magic Moments and I hope to see you at Mickey’s Magic Show. @RoseMillsOhio. Sorry feel free to get them to enter. Thanks for commenting. One of my favorite Disney moments was when my kids (5, 7) saw the Disney Fireworks for the first time in May…their eyes lit up and "WOW" is an understatement! They were mesmerized and oh so excited! Such an amazing week! Our son Ethan was in love with the Disney Channel's "Mickey Mouse Clubhouse" which always came on each morning just as we had to head out of the house for day care. It devastated him every day and his only consolation was knowing that on Saturdays he would get to watch a couple episodes on a weekend morning. Another favorite Disney memory was going to see The Lion King!! AMAZING show, not only were my kids mesmerized, so was I!! Last minute Disney memory! The tree of life at Animal Kingdom. Love it.